With features like a rearview camera, 5-inch color LCD touchscreen and steering wheel-mounted controls, it's no wonder so many drivers opt for a stylish Hyundai Accent! Secure a bold Hyundai Elantra to enjoy amenities like cruise control, a rearview camera with dynamic parking guidelines and a power sunroof! From its Blind Spot Detection to its LED headlights with Dynamic Bending Light, the Hyundai Sonata is the vehicle you've been waiting for! The Hyundai Santa Fe is one advanced SUV, what with its smartphone integrations, Forward Collision-Avoidance Assist and Proximity Key with push button start! 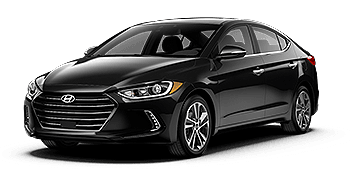 Welcome to Hyundai of Athens, a new and used dealership in Athens, Georgia, that is committed to providing all motorists with the high level of customer service that they deserve. 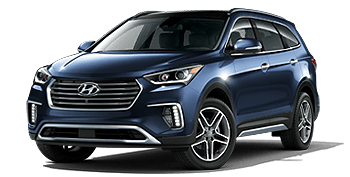 Our team of Hyundai professionals can assist with any automotive need you may have, including helping you with a trade-in, introducing you to the latest Accent to hit the market and presenting you with the genuine parts you need for an at-home used Santa Fe repair! We offer extensive business hours to ensure all our Atlanta, GA neighbors can always find a convenient time to drop by for auto assistance. Browse our online resources now and visit us in Athens when you're ready for a personalized Hyundai experience! Our sales department has created a stress-free vehicle purchase or lease process, and since we never pressure you into a decision, you can take your time as you peruse our showroom, knowing you have the time and space you need in order to make a confident vehicle decision. With help from our on-site finance center, you can secure the top-of-the-line Hyundai Sonata you've been wanting! Our dedicated service and parts centers are here to help keep your vehicle healthy for years to come, so team up with Hyundai of Athens after learning more about us! With help from our sales team, you can explore a range of competitively priced new cars for sale, all of which boast driver-assistive amenities and innovative safety systems. Test drive a sleek new Kona or inquire about Hyundai Assurance and all that it has to offer. Our Athens, GA car dealership near Gainesville has a new car in stock for you, so don't hesitate to tell us about your search requirements. 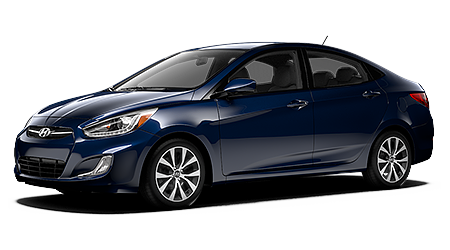 Since our new Hyundai inventory is right here on our website, feel free to explore our eye-catching options now! Here at Hyundai of Athens, we have used cars for sale for all budgets, so get in touch with us whether you're looking for a used Hyundai, a certified pre-owned model or used vehicles from other brands; we have it all! Put our many online filters to use to narrow down your used car search via our website or drop by our Hyundai dealership near Lawrenceville, Georgia, to explore models in person. We not only sell rigorously inspected vehicles that stand up to our high safety standards, but we buy them as well; value your trade-in today! If you're a new or used car shopper that is interested in exploring competitive Hyundai loan opportunities, team up with our Athens, GA auto dealership. Our finance professionals can introduce you to aggressive loan terms or can help you re-negotiate a low-interest car loan if you already have one. With loan packages available for motorists of all backgrounds, including drivers who hold sub-prime credit scores, you can rest assured there's a vehicle financing solution for you here at Hyundai of Athens. Get your loan process started today, complete our dealer's credit application! Treat your new or used Hyundai Veloster to the professional auto care that it needs in order to continue to run at a smooth, fuel-efficient level, head to the service department here at Hyundai of Athens! Our certified technicians can complete maintenance care on a variety of auto makes and models, so don't hesitate to visit us no matter the brand of vehicle you drive. Browse the practical service specials we've made available online before using our booking form to schedule tire care or a much-needed oil change! If you're a Gainesville, Georgia, driver that is looking for original equipment manufacturer components so you can complete vehicle maintenance work yourself, turn to our new and used car dealership's parts center! We stock a range of OEM parts and accessories that can help motorists keep their vehicle up to its original factory specifications. Check out the parts specials we offer before using our online form to order genuine Hyundai car parts or drop by to see us in Athens if you're looking for part identification assistance! 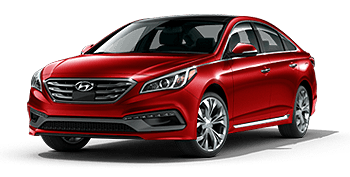 We encourage all our Atlanta, Gainesville and Lawrenceville, GA neighbors to shop Hyundai of Athens online, as our auto dealer has made a variety of resources available. Drivers can apply for our loan services, schedule test drives, learn more about popular Hyundai models or can get turn-by-turn directions for a future visit. Our interactive website helps streamline your vehicle processes and is available 24/7! Contact our new and used dealership with any vehicle questions that may arise; Hyundai of Athens is here to assist.